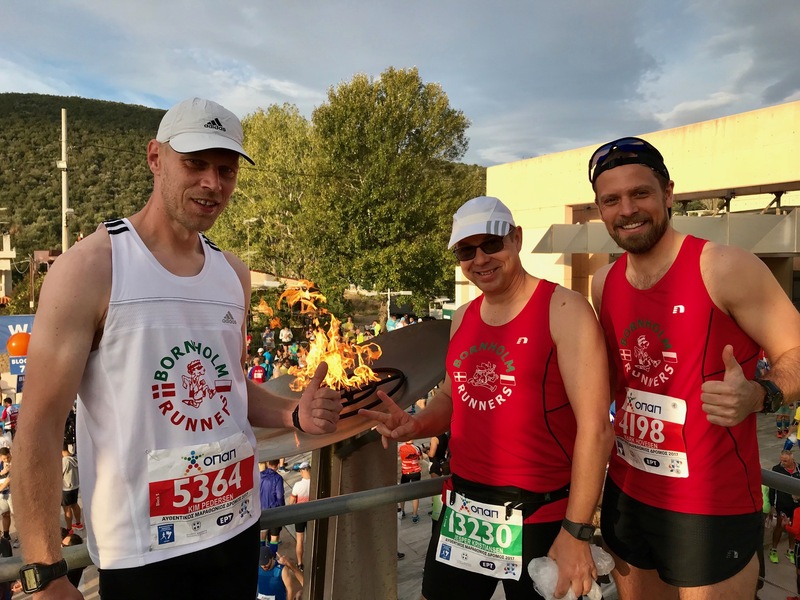 During the Geneva Half Marathon earlier this year some of the members of Bornholm Runners decided to make a trip later to run the Authentic Marathon Athens. Sunday November 12th early morning Mark, Kim and Jesper took one of the many busses from city Center of Athens to Marathon. Here it was time to get pictures taken in the historic place. 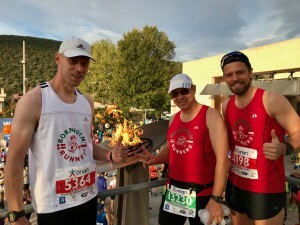 At sharp 9.00 the start for the professional took place and later the three participants from Bornholm Runners could start their run back to Athens. It is a historical run and we doubts any runner did not have special feelings when passing the start line! 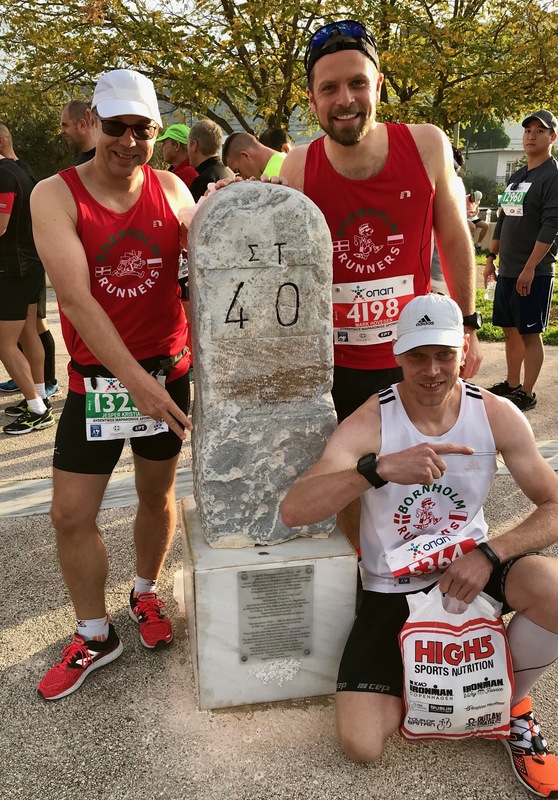 After some 14 km the hard part began – some 17 km constant upwards – around 31 km mark you could focus on the last 11 km towards the historical stadium in the middle of Athens. Here thousands of supporters made the last kilometres of the run as a very memorable event before the medal was received after finishing the run. Mark ran his first marathon – where can you imagine a better place to start your marathon history? With a time just below 4 hours it was absolutely a great start for Mark. Kim came in some minutes later and Jesper came in just under 4 hours 50 minutes. Later the afternoon Greta participated in the 5 km city run and here the support were even bigger as the start and finish were close to each other so all time plenty of people supporting the runners. All in all more than 50.000 runners ran this Sunday and for sure all had a great day. Unfortunately our young members Selma and Olivia were not able to get a start number as they were early sold out. This run can receive our recommendation for other who would like to run the authentic marathon or just have a shorter great running experience in Athens.